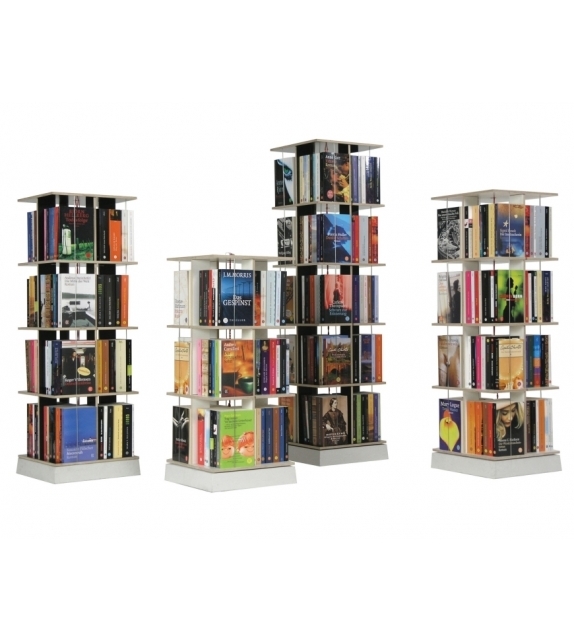 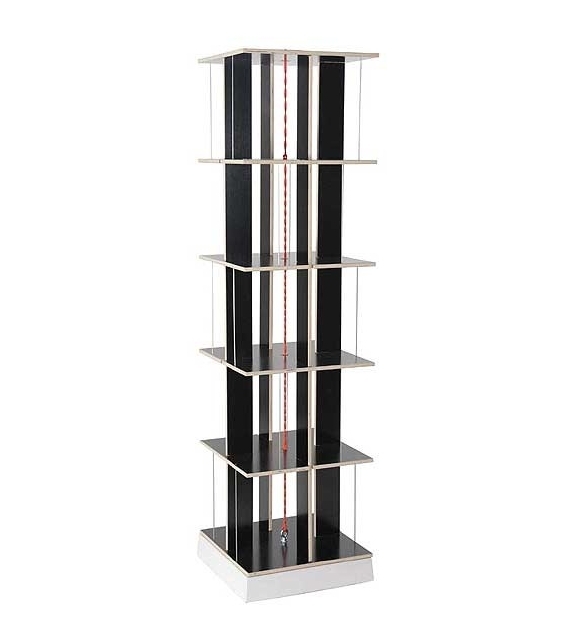 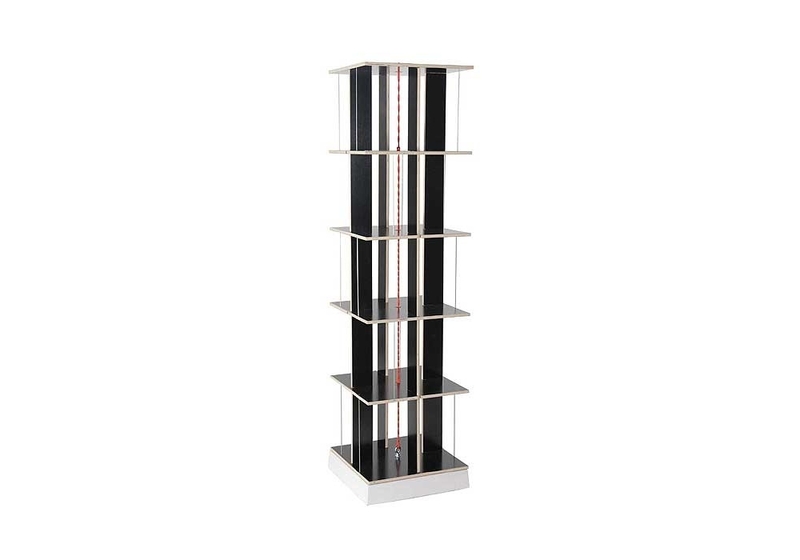 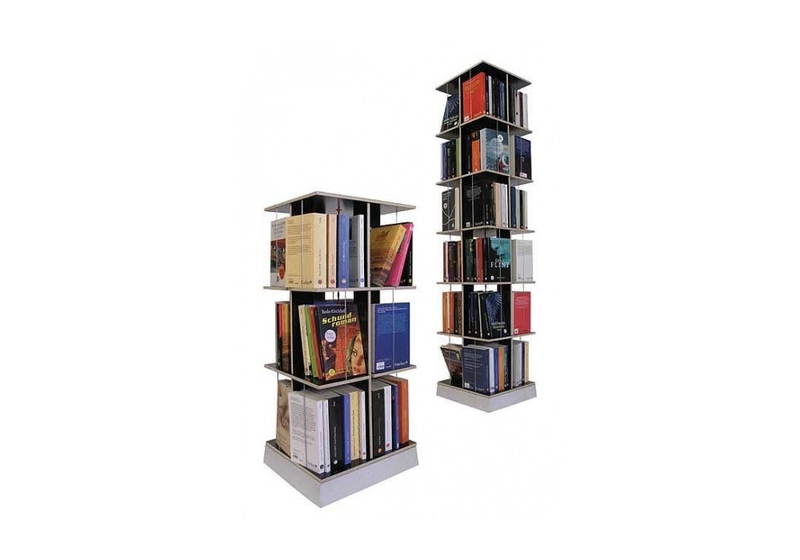 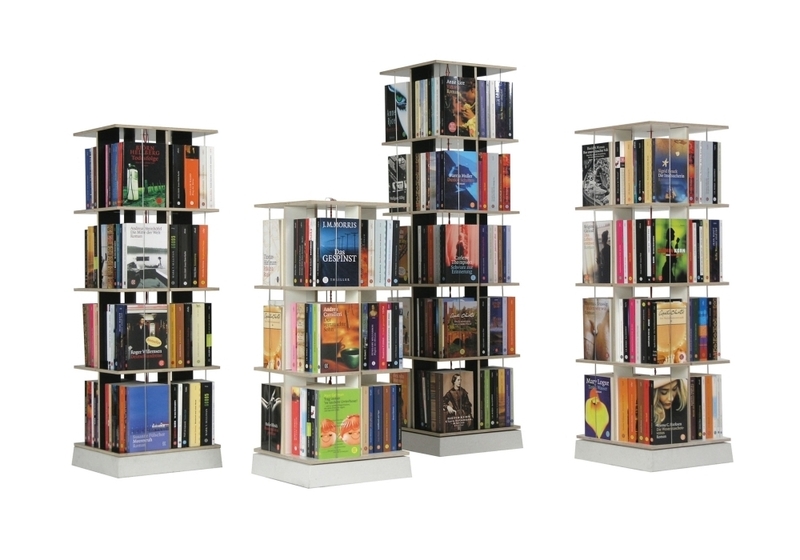 Moormann Buchstabler bookcase: TOM FISCHER, 2004. is a pivotable rack for pocket books. 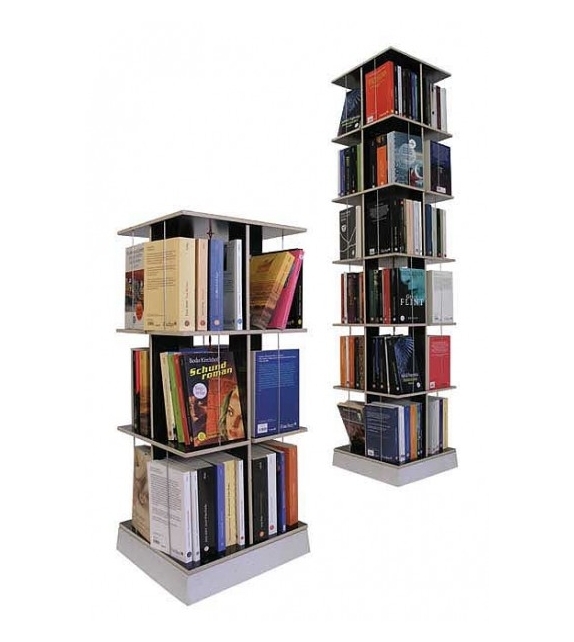 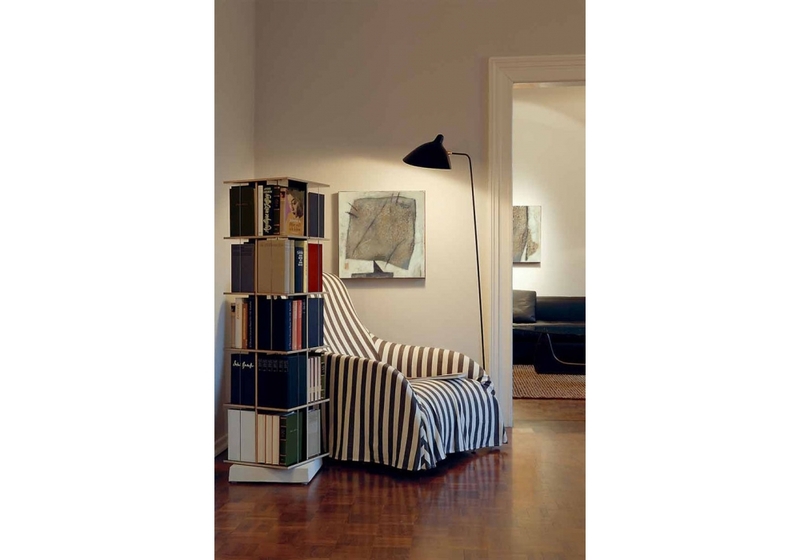 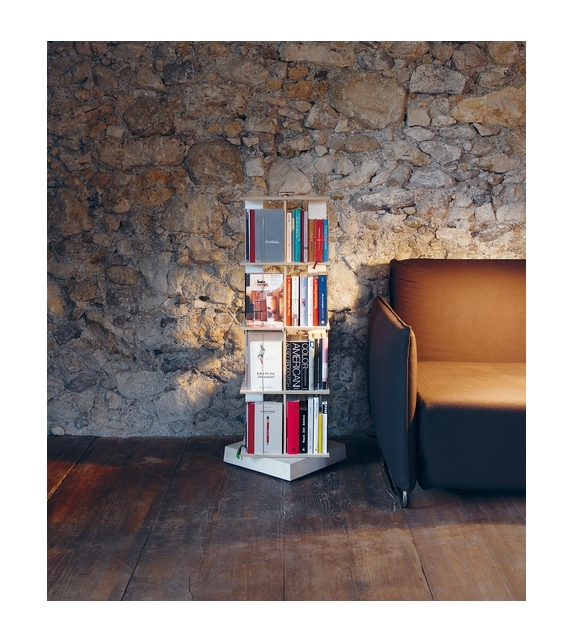 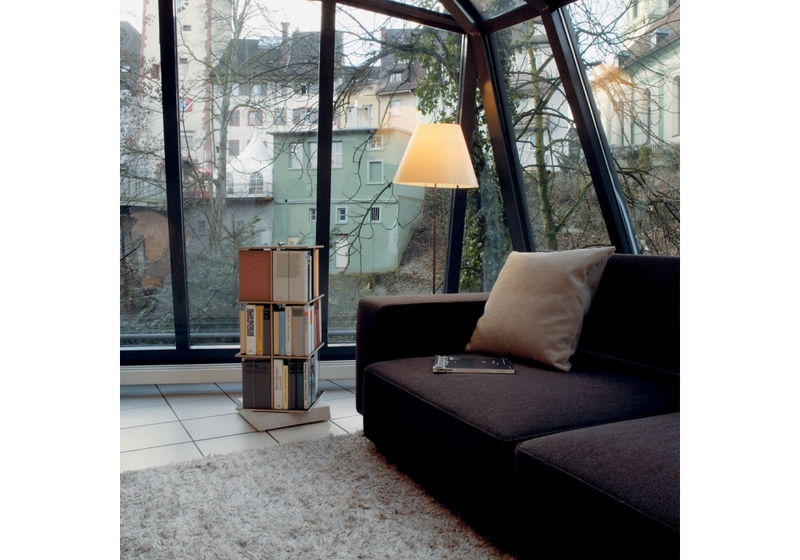 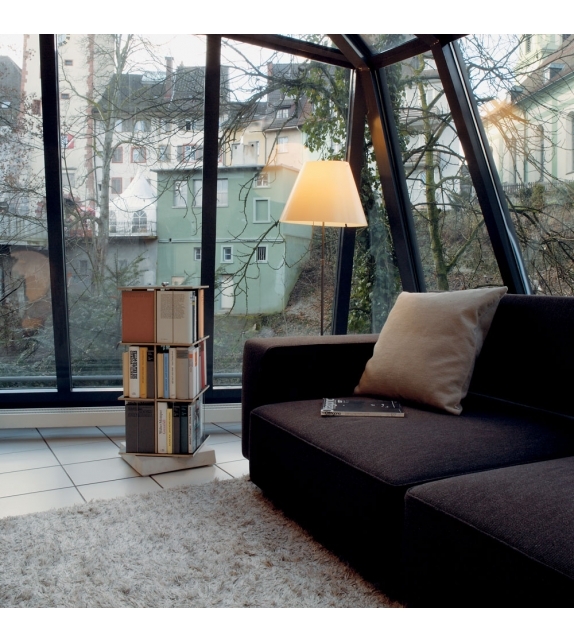 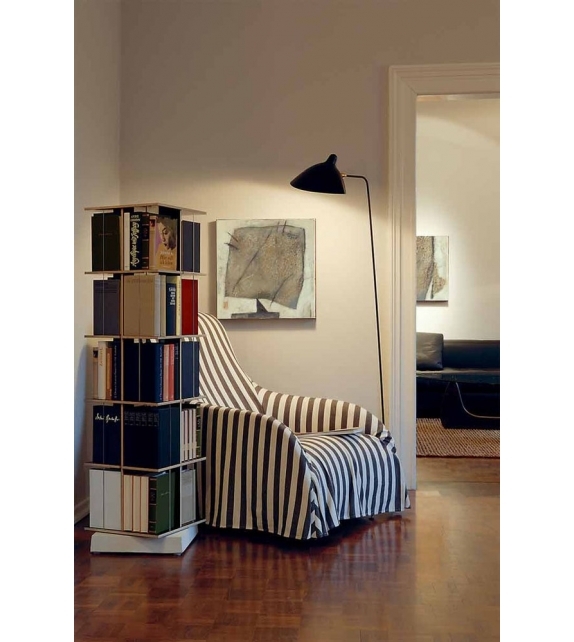 With purchases kept on a minimum, a maximum amount of books is stored in a space-saving way and clearly arranged. 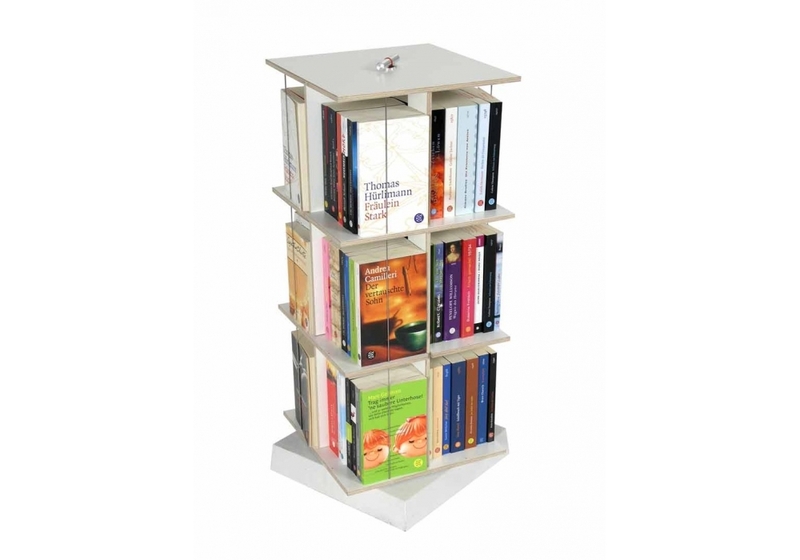 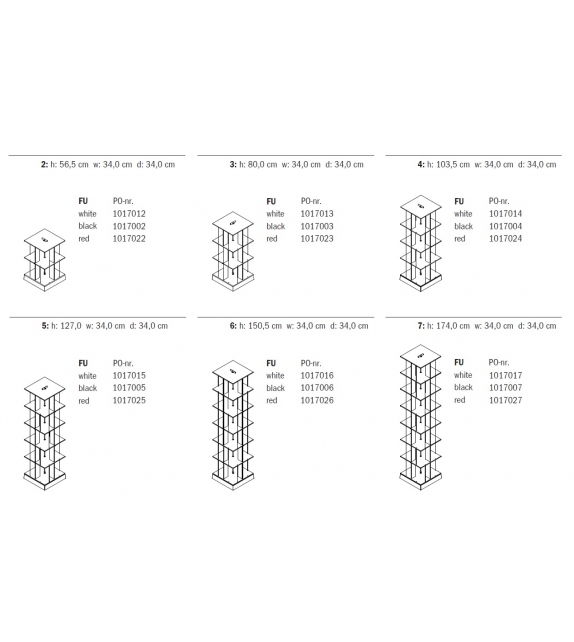 The rack is stuck together, stands freely and detached and - if necessary - it can become higher and higher. 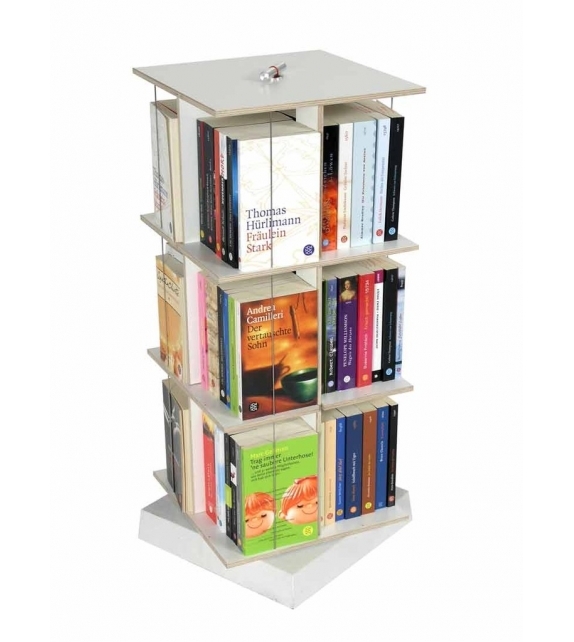 Moormann Buchstabler bookcase: TOM FISCHER, 2004. is a pivotable rack for pocket books. 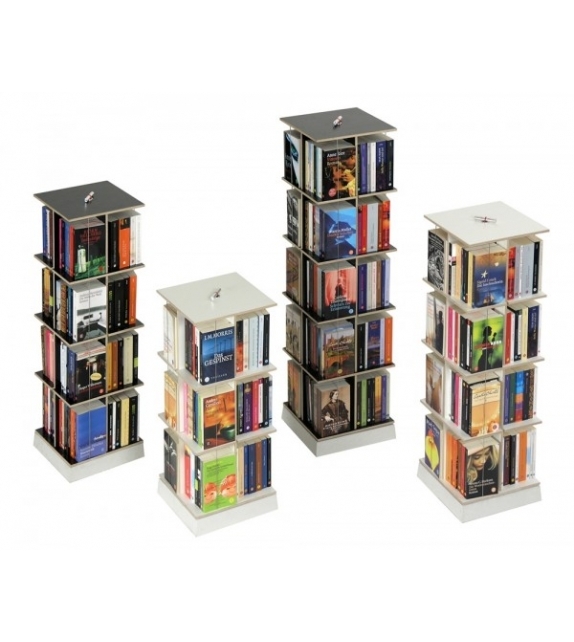 With purchases kept on a minimum, a maximum amount of books is stored in a space-saving way and clearly arranged. 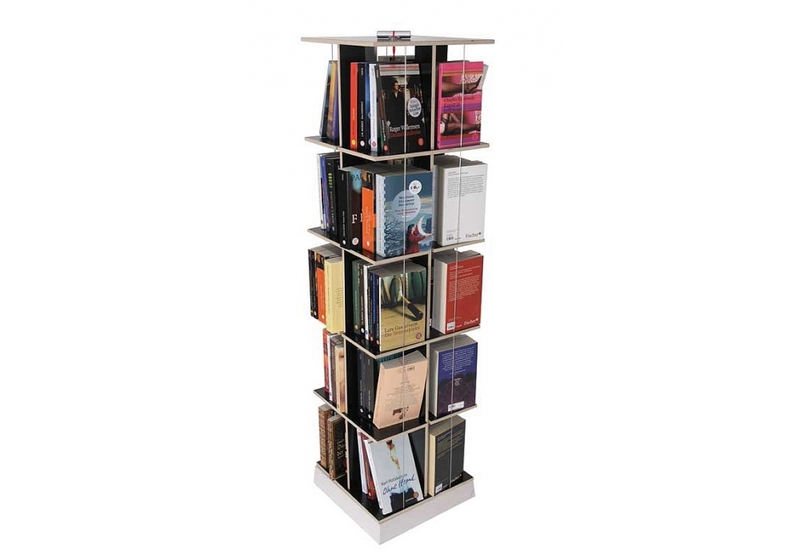 The rack is stuck together, stands freely and detached and - if necessary - it can become higher and higher. 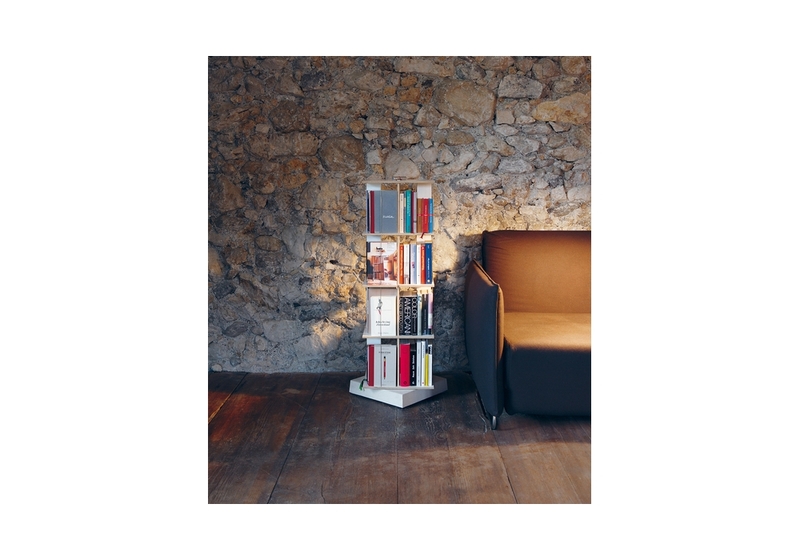 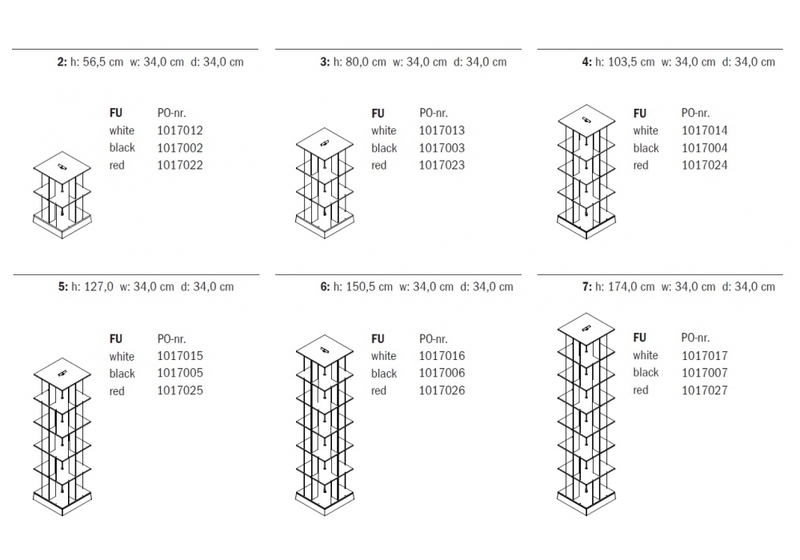 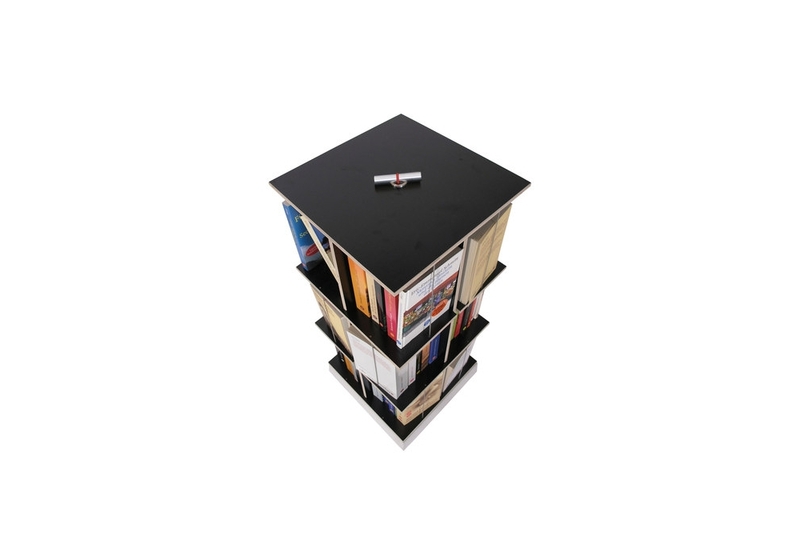 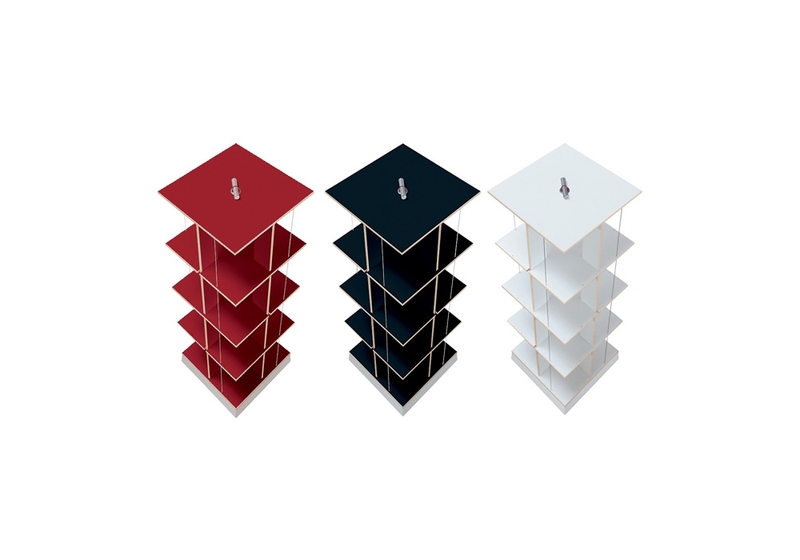 Therefore, it is possible to assemble Buchstabler at coffee-table height (two levels), up to Buchstabler-tower height (seven levels). 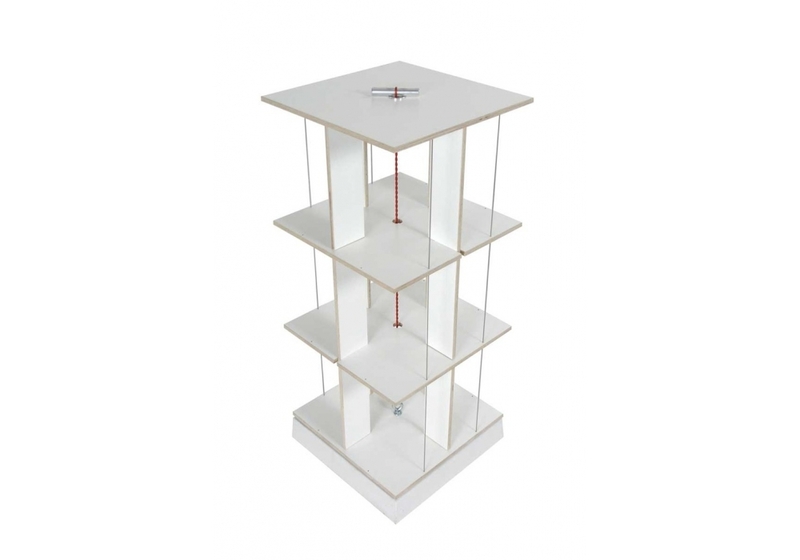 Buchstabler is stabilized with a simple, but clever technique:. 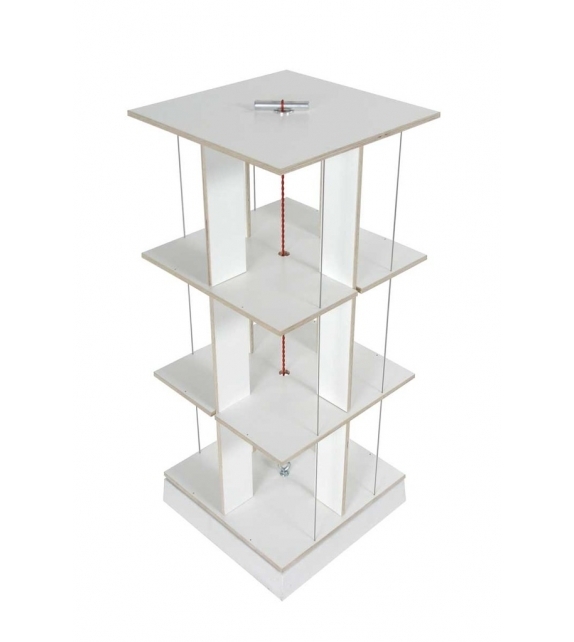 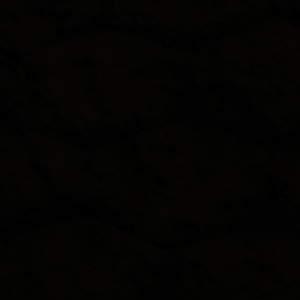 a string connects the base and the top of the shelf. 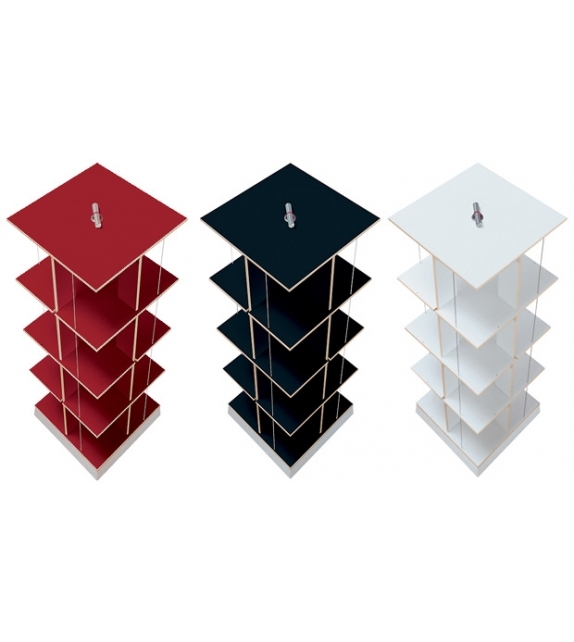 The tension, produced from twisting the string, holds the shelf tightly together. 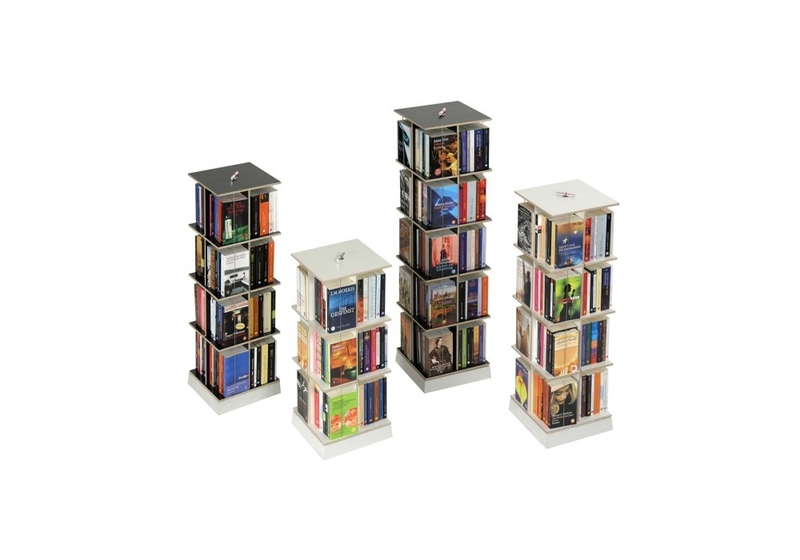 It becomes nearly invisible when completely filled with pocket books, so that it leaves the stage to the printings which thus can display themselves on their best behaviour (front). 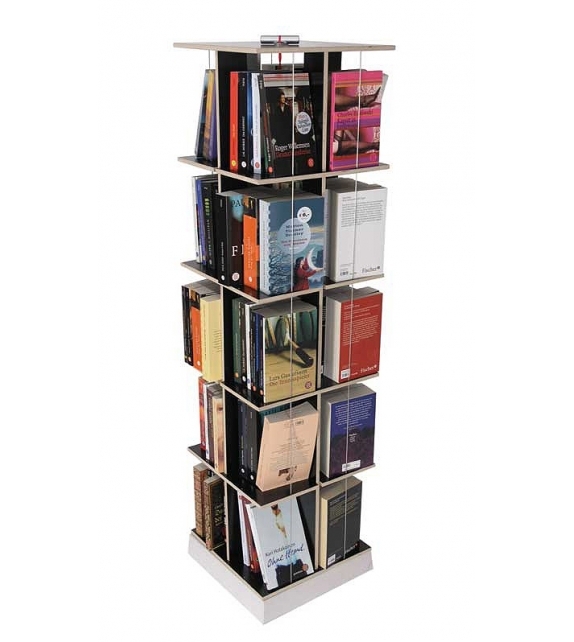 A base made of cast conctete makes the rack stable.